Sarah Witheridge is a Partner and Head of Property Department at WBW Solicitors, she is also part of the Farms & Estates team specialising in dealing with agricultural property work. Sarah has been with the firm since 2008 after joining the practice from Silverthorne Colthorpe. 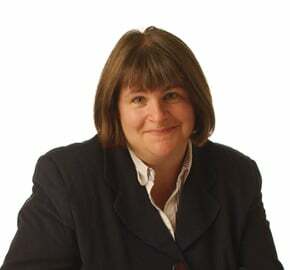 She qualified as a solicitor in 1996 after attending Sheffield University and specialises in residential conveyancing and particularly agricultural property including farm sales, mortgaging and purchases, farm business tenancies and grazing agreements, unregistered conveyancing and voluntary land registration and farming partnerships. Sarah was born on Exmoor and currently lives on the outskirts on Exeter. Sarah’s particular interests are spending time with family and friends, enjoying country pursuits, supporting a number of schools as a governor – and reading when she gets a chance!